Use Avaza to manage your projects, timesheets and invoices and integrate with Google Docs to collaborate on documents. Automatically create a new document in Google Docs each time a new project is created in Avaza. Automatically create a new document in Google Docs each time a new task is created in Avaza. 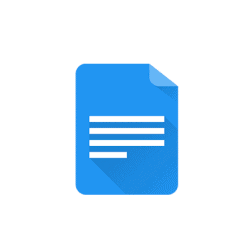 Google Docs is an online word processor that lets you create and format text documents. Collaboratively edit documents with other people in real-time. Follow this link to connect Google Docs with Avaza.